"I use this art form to tell my story, to heal the rough parts and celebrate the accomplishments." 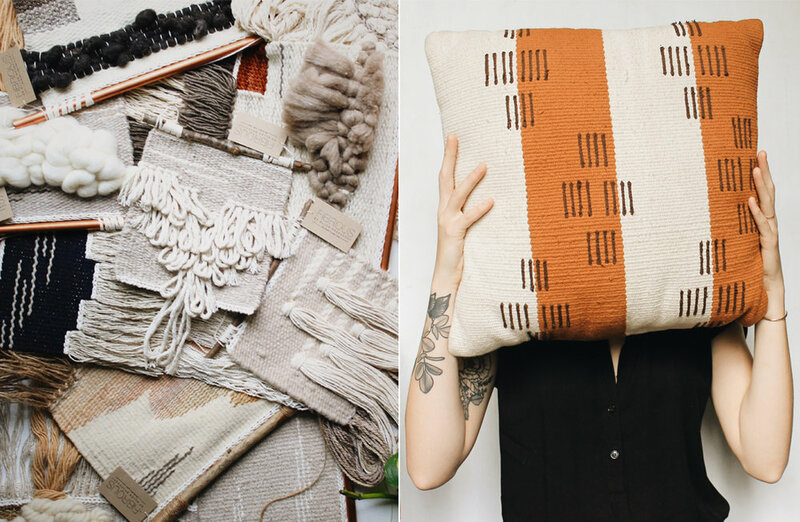 – this aptly encapsulates the motivation behind Texas based weaver Ellen Bruxvoort's works. While some artists creates artworks based on aesthetics, some like Ellen places their heart, soul and emotions in every piece she makes. 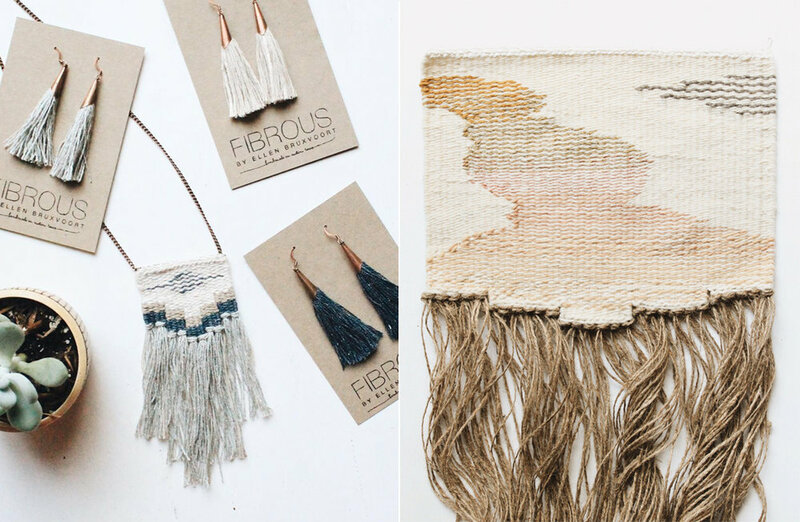 Maker behind FIBROUS, Ellen creates wall art, home goods and fashion accessories (we are absolutely in love with her tassel earrings!) and conducts online weaving classes. 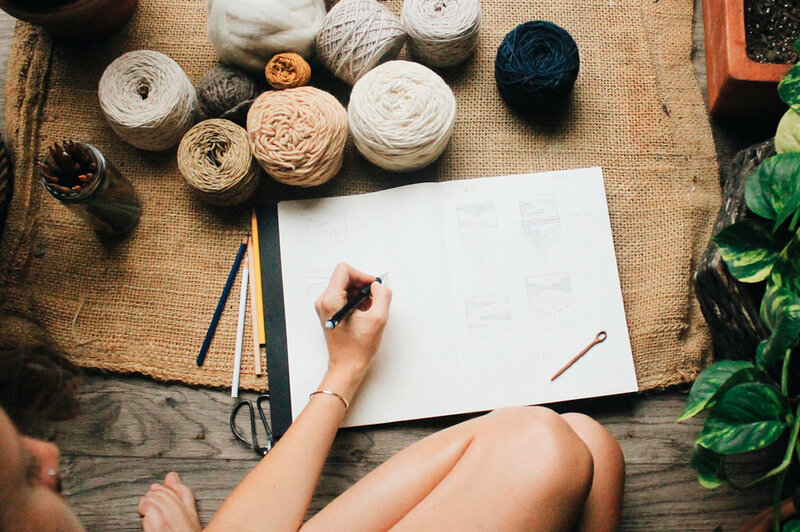 Read on to get a glimpse into how Ellen translates her life experiences into her woven pieces. In 2014, I was at somewhat of a creative stand-still when I kept noticing textiles peaking my curiosity. I've always been a really tactile person, loving textures and hands-on crafts. I distinctly remember staring at a pillow on my bed and thinking, "I could probably make that." So I nailed some nails into a piece of plywood the next day and used some hobby lobby yarn to make my first woven wall hanging. I was so proud of myself and had missed feeling that way for so long, so I just kept going. I don't want to knock down other artists or anything because I feel that everyone has their own creative process and methods for creating. But as for me and my work, I put my story into almost everything I make. 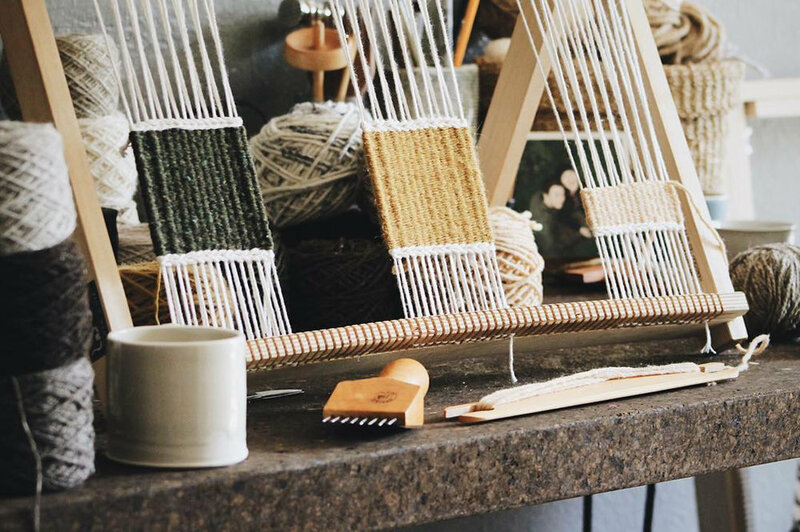 There have been several times when I have sat at my studio desk and sobbed my way through weaving a piece. And at other times, I stayed up till sunrise because weaving brought me so much joy that I felt too motivated to stop. Each piece tells a chapter of my timeline in fibers and I try to put that across when I post them on social media. Some pieces express feelings that are tender and vulnerable while others are weird and wild. To be honest, it kind of bothers me when weavers make pieces that feel so empty – making them so that they can sell it or ride the trends for profit. I use this art form to tell my story, to heal the rough parts and celebrate the accomplishments. I think transparency can set an artist apart, but I understand it's not always for everyone. 3. Share with us the creative process behind each of your project. My creative process is mostly ebbs and flows, but ultimately experience-based. I kind of feel like it's similar to songwriting. An artist has a life experience that makes them feel something (positive, negative, or anywhere in between) and harnesses that energy to translate it into a medium with which they resonate. I think when an artist truly works from the heart, they navigate through life in a way that allows them to view experiences through the lens of their art form. And the more you get to know the artist, the more you are able to understand how the piece is a representation of how they processed that experience. This is how most of my works are born. The inspiration behind this design is... I made this the day after Donald Trump got elected as President of the United States. I felt defeated, shocked, in mourning, and overwhelmed with sorrow. Not only because my candidate lost – it was so much more than that. The ideals that this man represent seemed so obviously immoral, selfish, and ignorant that I could not possibly fathom how he could lead our nation. Alas, while millions of Americans were feeling it too, the unity was already forming. This piece represents that first day of grief – unraveling while still trying to hold it together. The dream store in which I would like to stock this design is… Well it's already stocked in Boston General Store, which is one of the coolest little spots on the other side of the map. They have been so sweet and supportive of my process and I am incredibly grateful to be doing business with them. Which celebrity house can you picture your design at... wouldn't mind it in an Obama living room. If this design could talk, it would say... maybe it would just quote Hillary and say, "please never stop believing that fighting for what is right is worth it. It is. It is worth it." Being self taught is a blessing and curse sometimes. Growth is slow and sometimes feels limited, but looking back on my work is so rewarding and a positive reminder that I'm evolving faster than I think. My technique, fiber choices, composition and consistency have improved, and above all, my voice has slowly blossomed. I don't feel like it's quite where I want it yet, but I think that's insatiable sometimes. It's good to feel that way – proud of yourself, but knowing you can always do better. I hope to focus on making a series of works that are meant to be displayed together in the near future and potentially installations in the distance.